Paul Tillich (1886-1965) was a German-born theologian who emigrated to the United States in 1933 after a serious conflict with Nazi authorities in his home country. His extraordinary intellectual accomplishments have made him one of the most important theological influences in the twentieth century. The resources on the site are described below. Tillich's three-volume, five-part Systematic Theology is one of the most impressive works in the history of Christian thought. The "Systematic Theology Reader's Guide" introduces students to each section of the Systematic theology with summaries and questions for reflection. The reader's guide is a gift from students of Tillich at Boston University to students everywhere. These pictures are gathered from the world wide web and placed here. If anyone knows of copyright problems please alert me at the feedback address. This timeline presents major events of Tillich's life in connection with his publications and with political and family contexts. The bibliography contains major English-language works by and about Tillich. These reviews cover many of Tillich's works as well as biographical works about Tillich. Tillich was an extraordinary presence in popular cultural activities in both Germany and the United States. This included participation in activities and writings about art, architecture, social justice, and nuclear war. These articles summarize Tillich's involvement in a wide range of popular culture activities. 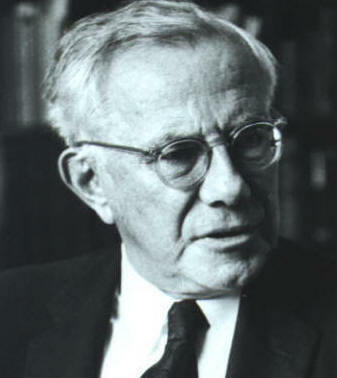 Tillich influenced many other theologians. Here is an indication of that influence in the form of brief essays on a variety of theological figures and how they knew and were impacted by Tillich's thought. These course syllabi illustrate a variety of approaches to studying Paul Tillich's life and thought. This fairly comprehensive set of web links will connect you will other Tillich resources all around the world. The information on this page is copyright ©1994 onwards, Wesley Wildman (basic information here), unless otherwise noted. If you want to use text or ideas that you find here, please be careful to acknowledge this site as your source, and remember also to credit the original author of what you use, where that is applicable. If you have corrections or want to make comments, please contact me at the feedback address for permission.